As the year comes to a close, annual wrap-ups are most companies favorite way of reminding us just how much we love using their services. Unfortunately, Facebook’s ‘Year In Review‘ videos have the opposite effect on me. So prepare yourself because as of today, they’re back once again to clog up our newsfeed. Unlike Spotify’s ‘Yearly Wrapped’ playlist, Facebook’s Year in Review videos always highlight the worst moments. Worse, they’re blended over a forgettable and utterly cheesy soundtrack. 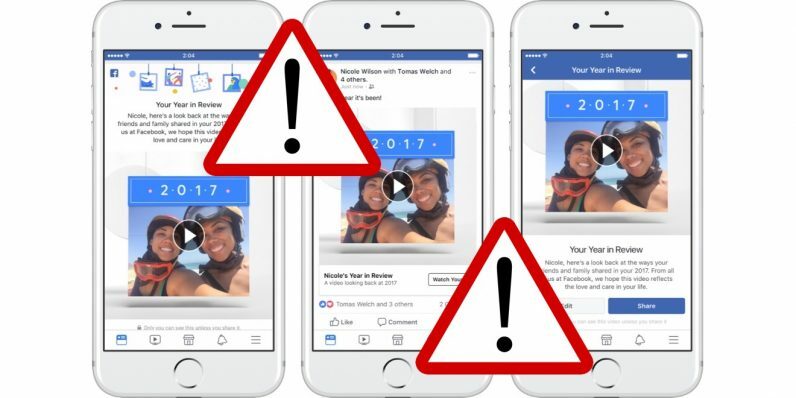 Populated using ‘new friends’ you’ve made, ‘happy birthdays’ you received, your most popular pictures and more social detritus to annoy your friends with, Facebook does a fabulous job at making your life seem like a terrible advertisement. What’s the point again? To view your depressing video, make sure you’re logged into Facebook and head to https://www.facebook.com/yearinreview2017. Don’t be alarmed if you get the below message. As I found out for myself, not everyone’s Year In Review is available at this very moment. Be thankful. It’s true that some years are better than others. But each brings something to look back on and be thankful for. Year In Review videos, however, don’t make me thankful; they make me want to delete my account.